Incredibly lively bar, aimed at people who like to talk, smoke and drink. Happy hour 6–9pm. Potent cocktails are what this schoolroom-themed bar is all about. Choose from 350 combinations. Happy hour runs from 10pm until midnight. This lively Argentinian place brings Latin America to the Latin Quarter. Also serves great meat dishes. The place that never closes. Hang out on the terrace with a few drinks and watch the world go by. Happy hour 7–9pm. Pleasant, bright family-run L’Assignat is full of regulars propping up the bar with a beer or a glass of wine. The lounge bar of the legendary Alcazar is the place to be seen. Drinks are not expensive given the buzz and the wonderful location. Just the place to wind down after a night of joie de vivre. On a quiet backstreet, this shabby-chic bar plays host to thirsty local nighthawks as well as trendier partygoers on latenight cocktails. An Irish bar that doesn’t try too hard. Appeals to drinkers, talkers and listeners of all ages, who like their draught Guinness with a blarney chaser. Hit this hospital-themed bar for cocktails with names like “Laxative” and “Liposuction”, served in either a test-tube or baby’s bottle. 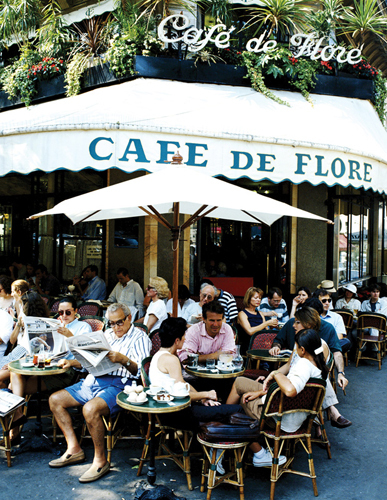 This café has been patronized by the likes of Henry Miller Apollinaire and Jacques Prévert. 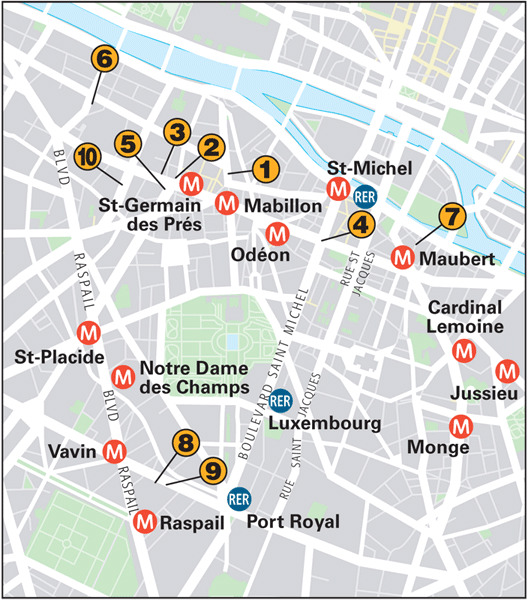 This was home to the literary and artistic élite of Paris as well as a regular haunt of Surrealists such as François Mauriac . 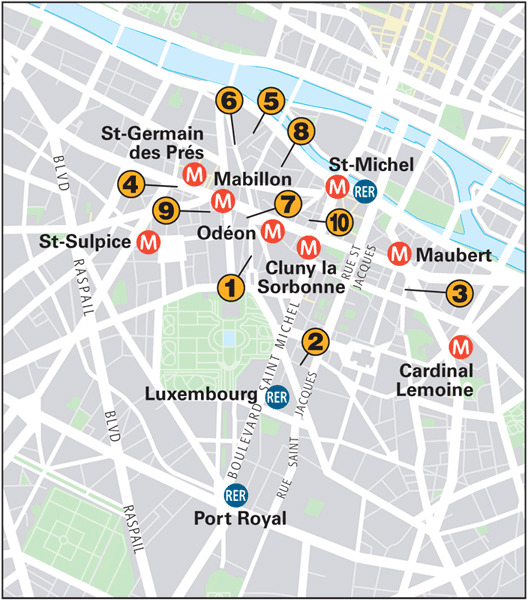 Guillaume Apollinaire founded his literary magazine, Les Soirées de Paris, here in 1912 . 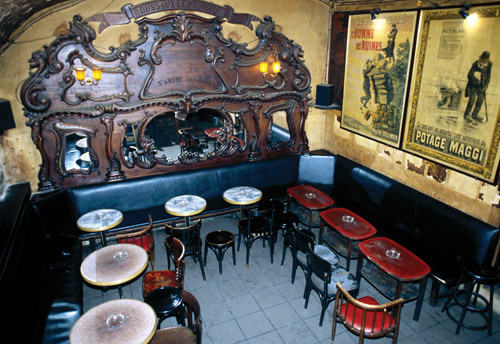 The oldest café in Paris, this was a meeting place for writers such as Voltaire, Hugo, Balzac and Zola. 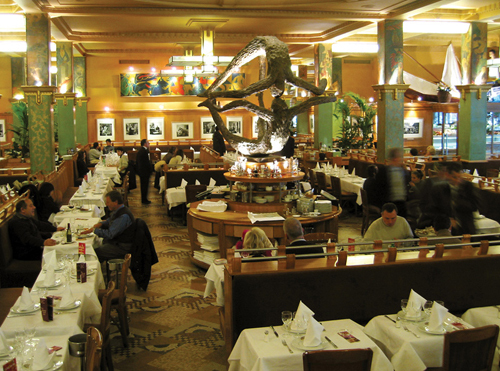 Ernest Hemingway pays homage to this café in A Moveable Feast. It was also visited by Symbolist novelist André Gide. Henry Miller drank here at the time of writing his Tropic of Capricorn and Tropic of Cancer. 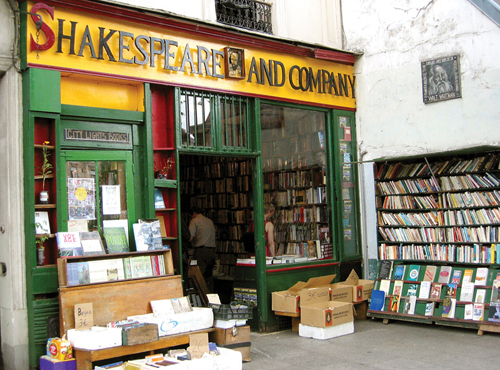 This renowned bookshop was once described by novelist Henry Miller as a “wonderland of books” (see Shakespeare and Co). F. Scott Fitzgerald and Truman Capote were among many American writers who drank in this café-restaurant. Opened in 1927, this former coal depot was transformed by artists into a lavish, Art Deco brasserie. It attracted such luminaries as Louis Aragon and Françoise Sagan . 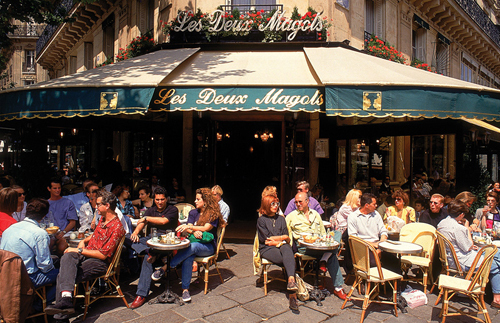 Camus, de Beauvoir and James Joyce are among the many writers who once took their daily coffee here.